Dogs have been helping the mankind from centuries, be it as a domestic animal or as a special one solving the homicide cases. 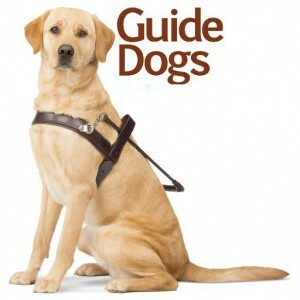 However the most altruistic ones are the guide dogs. These pawed companions help the disabled in living their life normally. 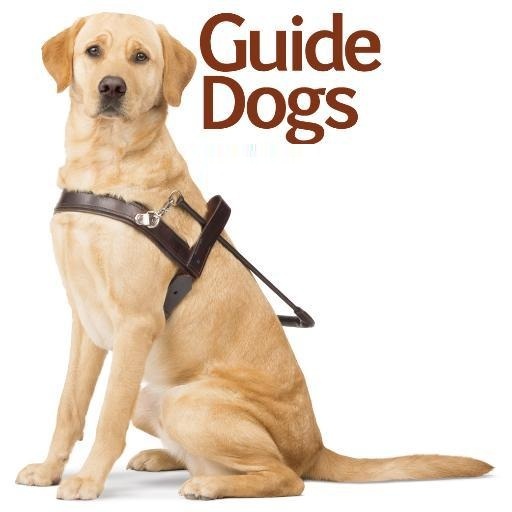 Guide dogs tend to direct, protect and accomplish whatever is needed to stay loyal to his owner. Physically challenged, blind, deaf, traumatized and an individual going through special conditions are helped by some of the smartest dogs on the planet. 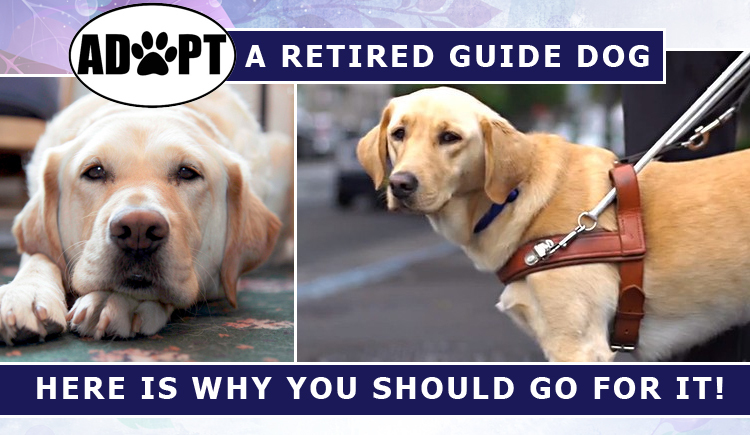 However, there is one factor that forces the guide dogs to retire and that is aging. With decreasing abilities to guide, these canines get retired and often do not receive permanent home and parents that they deserve so much. Though, there I snow a prominent increase in number of their adoption. If you too are thinking of getting a new family member then going for a retired guide dog may be a great idea. Your conscience will appreciate your decision: When guide dogs are retired and nobody is ready to adopt them, they end up in shelter and we all know how crowded they are. These heroes definitely not deserve it and with a constant increase in number of dogs in shelter, the older ones get queued for euthanasia. Adopting a guide dog may give him a new life and family filled with love. This is your chance to save a pooch and gift him the life he deserves. Doing this may give you pleasure of doing good and your conscience will definitely approve of it. No training required, in fact you get a highly skilled pooch: Guard dogs are qualified after various tests and training sessions. They are exceptionally sharp in adapting to the environment and also in sensing the situation. More than that, they are highly disciplined dogs. This level of discipline and training may be quite difficult to give to a puppy. Hence by adopting a guard dog, you sign for an adult dog that is skilled, dependable, obedient, disciplined and loveable. You will always be safe: Guard dogs are highly trained to protect their owners in critical situations. This is a benefit you may get with adopting one without doing any work. Although their senses may have had a hit, they can be entirely trusted to save your neck in necessary situations such as burglary, accidents, etc. Hence, you may have greater chances of being safe with a trained guide dog around. Ideally we shouldn’t even be discussing this as adopting adult dogs should be a priority right now to stop the horrible treatment at shelters. But as humans we require beneficial reasons to go ahead and these are some that may fall in your requirement analysis. Make sure you take good care of guard dog if you adopt one and be regular on their flea and tick treatments, heartwormers, wormers and supplements that may aid in maintaining their agility.